SUPER GARDEN SUITE @ Pilot House at the river's edge this exciting, 700sqft 1-bdrm home offers WATER VIEWS (from INSIDE! ), SUN, LARGE TERRACE (nearly 300 sqft), PERSONALITY & FUNCTIONALITY (checking all those boxes!) & is only steps to the River Walk & a fantastic lifestyle. Roomy bedroom w/ walk-in closet, F-C windows, ensuite laundry, 9' ceilings, gas fireplace & large insuite storage. 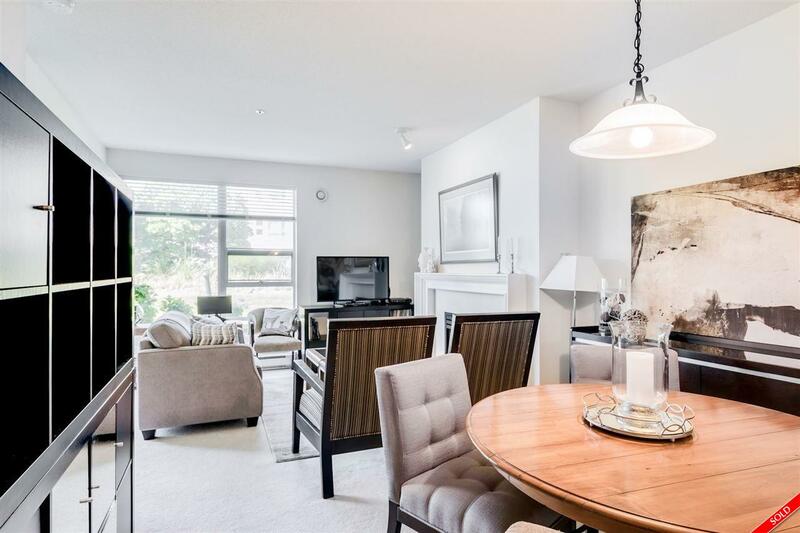 Quiet location, walk to the River District farmer's market, recreation activities & minutes to shopping, transit w/easy commute to downtown, YVR & UBC. Great complex (Rainscreen) w/ strong strata; gym & hot tub shared w/ Harbour Master Club. 2 dogs or 2 cats or 1 of each & rentals OK! 1st SHOWING OPEN Sat & Sun, Aug 26/27, 2-4.